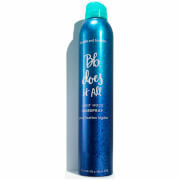 This super strong hairspray will keep your hairdo perfect come rain, shine or hurricane. 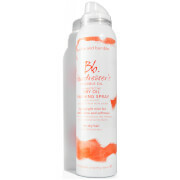 Bumble & Bumble Holding Spray is flake resistant, flexible and gives great control where you need it the most ' your hair! The newest addition to our fixative family is our most potent to date. Holding Spray is the ultimate finisher ' a lacquer guaranteed to hold flips, dips, swirls and curls all day long (and then some.) Use it as a last step when hair is dry and styled for updos, high flying mohawks (and faux hawks) and fins and modern volume. Hold about 10 inches away from your hair and spritz in fluid, even strokes. Apply an extra spritz or two at the roots for added height. 2004 Bumble and Bumble, LLC.